Realme has achieved another milestone by earning a title by creating the Largest mobile phone sentence at New Delhi on 16th March 2019. 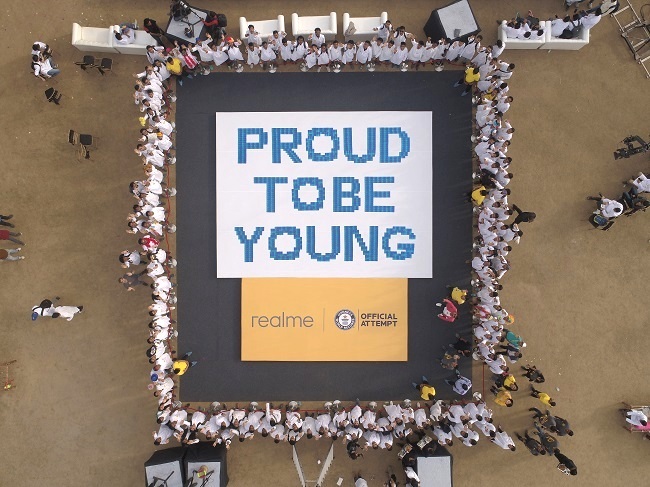 The young brand earned GUINNESS WORLD RECORDS title by making 1024 Realme 3 Radiant Blue devices to spell “Proud to be young” brand slogan, witnessed by 500 Realme fans and media combined. Realme 3 has adopted a 3D Gradient Unibody Design to achieve a singular and seamless product experience. In order to let fans and media experience the stunning and reflecting effect of the Radiant Blue variant, Realme organized a day long celebratory event which is the first ever “Realme Holi Party”. The young brand invited 500 fans to experience the Radiant Blue variant of newly launched Realme 3. The entire event was themed around gradient blue and green colors. 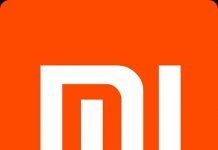 “We are overwhelmed with the responses we have received towards Realme 3. We sold 2.1 lakh devices in a short time during the first sale and became the segment leader in 2019. 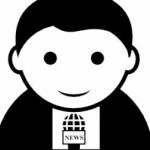 We are sure to create many more such records going forward,” he added. As a part of the 5 million sales milestone celebrations both of the variants of Realme 3 with 3GB RAM + 32GB ROM and 4GB RAM + 64GB ROM will be priced at INR 8999 and INR 10,999 respectively for the next 1 million users. Realme 3 Dynamic Black variant will be open for sale again on March 19th, 12 noon onwards. The Radiant Blue variant of Realme 3 will be open for sale on March 26th, 12 noon onwards. 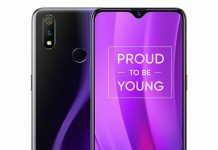 Realme is a technology brand that specializes in providing high quality smartphones. 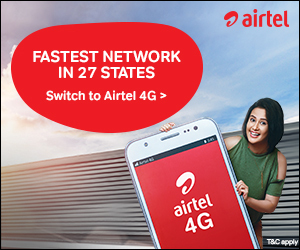 The brand was officially established on May 4th, 2018 by its founder Sky Li and Madhav Sheth in India, together with a bunch of young people who have rich experience in smartphone industry.